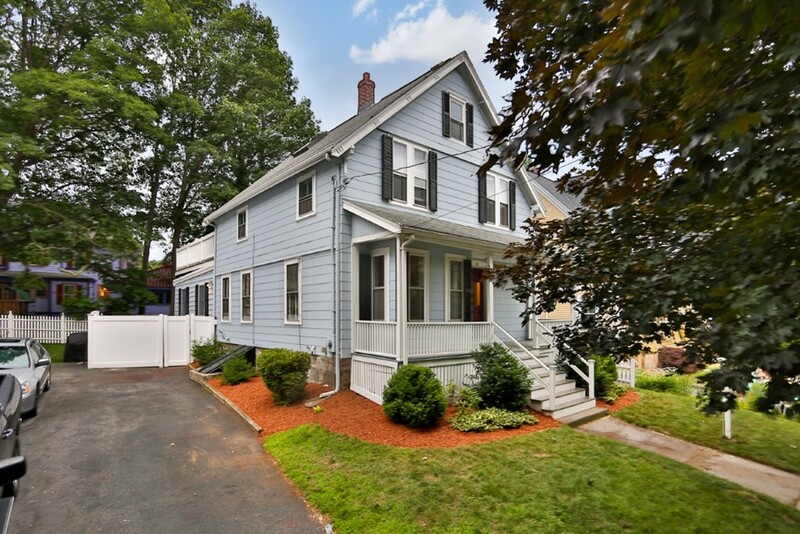 EAST SIDE COLONIAL WITH LOADS OF CHARACTER AND PLENTY OF SPACE!! Step into this 8 RM, 3 BR, 2 BA colonial and let the beautiful hardwood floors bring you through the easy flow of the living room, into the open concept dining room/kitchen with upgraded cabinets, granite countertops, eat-in peninsula and stainless steel appliances. Pocket doors lead you into the spacious fire placed family room with built-in cabinets off of the dining room. Great set-up for entertaining or quiet nights by the fireplace! A 3/4 bath and washer/dryer hookups complete the first floor. Second-floor offers a full bath, master bedroom with exterior access to a fabulous deck and 2 additional bedrooms. A bonus room on the 3rd flr awaits you; great as a home office, craft room or game room! Easy to maintain fenced in yard and 3 car parking. Ice cold Central Air! Convenient to downtown Melrose, located close to the bus line and walk to Whole Foods Plaza! Take a walk-through with our 3D tour!